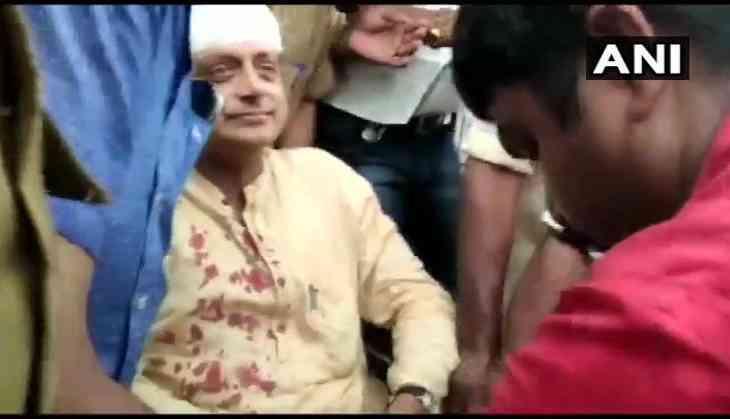 In an unprecedented situation in Kerala, Congress’ Member of Parliament Shashi Tharoor has been serously injured while he was offering prayers at the temple in Thiruvananthapuram. Tharoor, who is contesting the Lok Sabha polls from the same constituency, has undergone treatment and has received six stitches on his head. He was shifted to General Hospital. Doctors have said that he is out of danger yet the preventive measures are being taken.